Columbia University estimates that you need to burn 3,500 calories for every 1 pound you want to lose. If you burn 1,500 calories in one day, you could lose 1 pound in less than three days. Although trying to burn this many calories in one day creates a challenge, several exercises burn a significant number of calories and may help you reach your weight-loss and heart health goals. Consult your doctor before beginning any exercise program. Skating provides the benefits of aerobic exercise and the ability to tone the thigh muscles, buttocks, hips and knee extensors. This exercise also burns a high number of calories in one session. Harvard University's Heart Letter estimates that one hour of skating burns 420 calories in a 125-pound person, or 214 minutes to burn 1,500 calories. A 185-pound person burns 622 calories per hour, so it would only take 145 minutes of skating to burn 1,500 calories in one day. 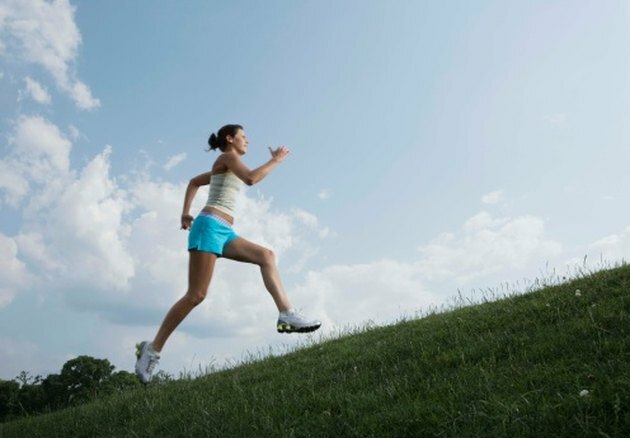 Running increases your heart rate and respiration rate, and allows you to build strength and endurance. 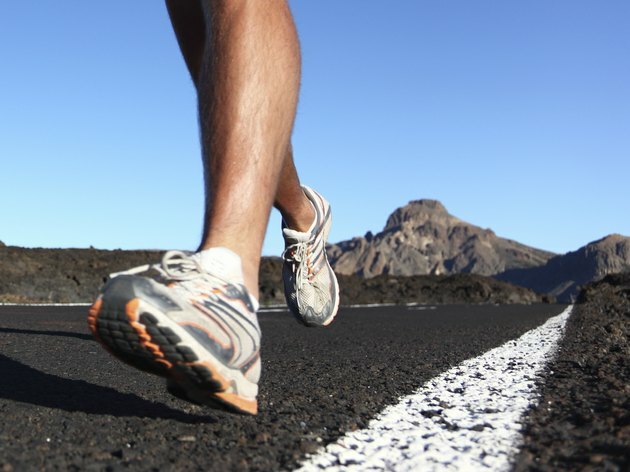 A 125-pound person running at 7.5 mph burns 750 calories per hour while an 185-pound person burns 1110 calories. To burn 1,500 calories in one day, the smaller runner would have to run for two hours, while the larger person would only have to run for 81 minutes. 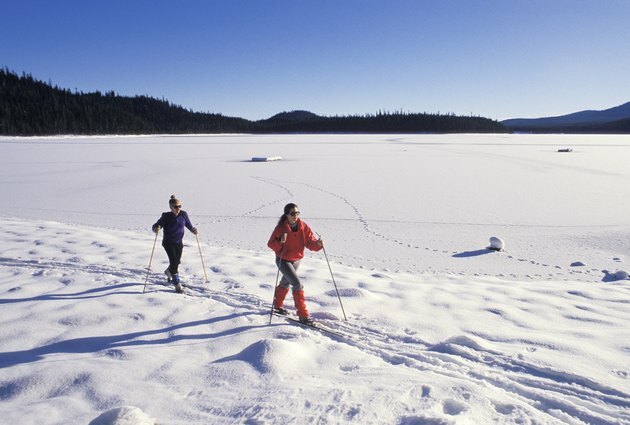 Cross-country skiing combines skiing and hiking to produce an excellent aerobic workout. This exercise works the upper and lower body, and improves balance. A 125-pound person burns 480 calories in one hour of cross-country skiing. Three and one quarter hours of cross-country skiing would burn 1,500 calories in one day. In contrast, a 185-pound person would burn 710 calories per hour, or 1,500 calories in two hours and 12 minutes. Tennis provides a high-impact workout that also helps you improve your coordination and game skills. Tennis provides the same calorie burning effect as skating, requiring a 125-pound person to play for 214 minutes, and a 185-pound person to play for 145 minutes to burn a total of 1,500 calories in one day. Playing basketball offers the benefits of aerobic activity with the challenge of playing a competitive sport. This sport also improves balance, coordination and other athletic skills. 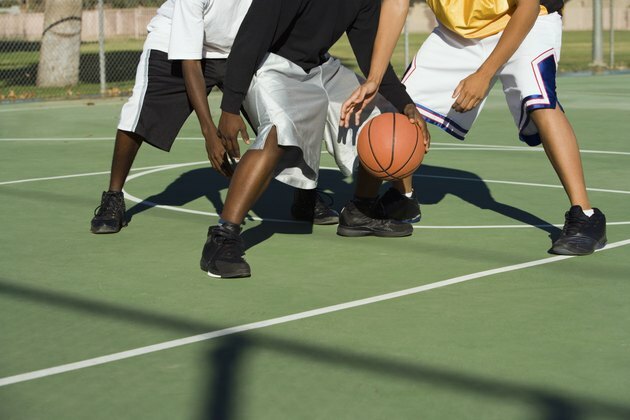 One hour of basketball burns 480 calories in a 125-pound person and 710 calories in a 185-pound person. To burn 1,500 calories in one day, the 125- and 185-pound players would need to play basketball for 3.13 and 2.11 hours, respectively. Swimming increases your heart rate and helps you tone the muscles in your arms, while providing a no-impact workout. 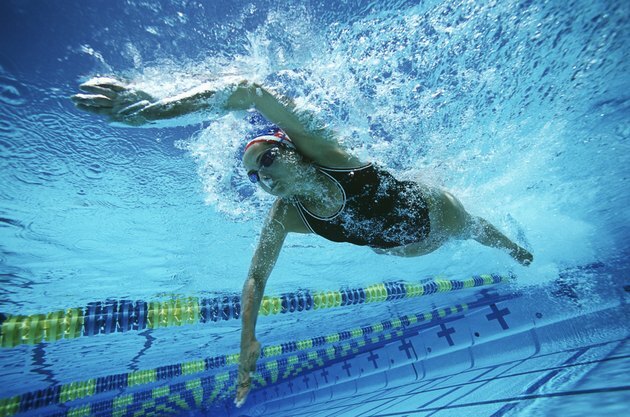 Swimming laps burns 10 calories per minute in a 125-pound person and 14.8 calories per minute in a 185-pound person. This means that each swimmer would need to swim laps for 150 minutes and 101 minutes, respectively, to burn 1,500 calories in one day. How Much Exercise Is Needed to Burn 140 Calories?